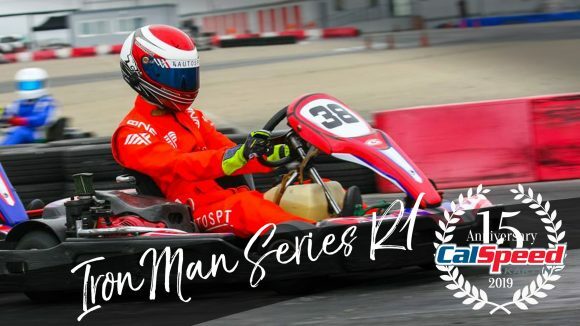 The IronMan Series would begin the 2019 campaign this past Saturday, taking to the newly reconfigured CalSpeed Karting, with the Classico Counter Clockwise track as the initial battleground for the year. And as is customary for the first round, green/white/checkered qualifying would set the grid for the Season Opener, with the inverted grids continuing from round #2 on. That qualifying session would be challenging too, as with only two laps to work with, drivers needed to get a handle on their cold tires, and unfamiliar territory for some who had never been on the new course. 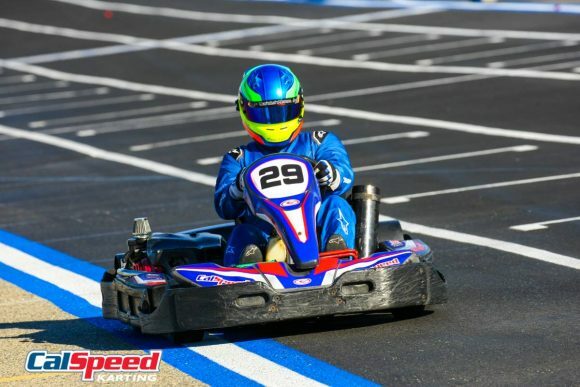 Coming out on top and leading the field away for the single-file rolling start would be fly-in driver Andrew Wood, the driver from New York State showing he had lost no speed during the offseason. 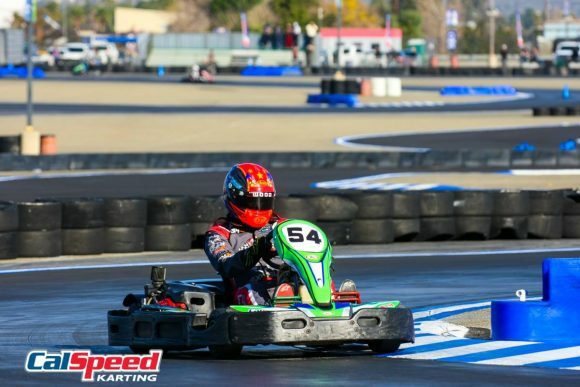 Right on his heels for the opening set of laps would be 2018 podium finisher and Summer Champ Sean Fite, and fellow front runner Chris Huerta, the former the top qualifier from the first of the two sessions. Wood would maintain the top spot for the first 4 laps, with Fite, Huerta, and 2018 Sprint Series champ Sam Hunt in tow, but once Fite made his move for the lead, Huerta would quickly follow suit, dropping the pole sitter to third. From there the front four would hold station, except for the driver working his way up from the field from seventh on the grid, Paulo Franca. Slowly but surely Franca worked up through the front group, eventually taking over the lead on lap 16, which would also see the former leader slip down the order after the melee, with Fite eventually lining up in 5th. From there it was all Franca out front for the next 20+ laps, taking the race into its second half, but before pit stops would begin, another driver would work his way to the point. Like Franca had done earlier in the race, Sam Hunt now slowly worked his way forward from the 4th spot he earned back when Fite fell back. Lap 28 saw him move to 3rd over Huerta; four laps later it was second over Andrew Wood; and finally on lap 37 Hunt found the front. Shortly thereafter the pit road would come alive with the leaders making their required stops, with Hunt the first to blink on lap 42, and Wood heading down one lap later. Franca would be next on lap 46, but the trio would actually all get both of their stops done before the next two in line, Chris Huerta and Sean Fite. While the pit stops did not change anything in the final order, critically, it would net Huerta 3 bonus points for leading a lap during the shuffle. 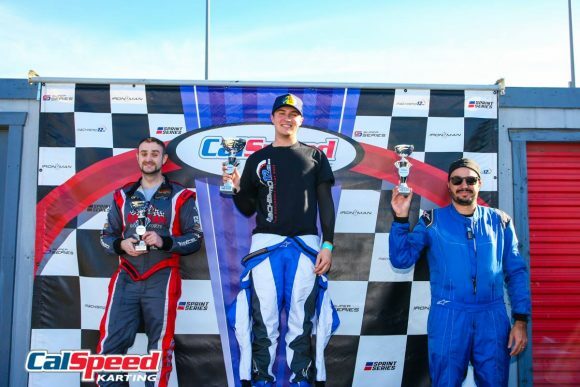 Sam Hunt would maintain the top spot to the checkers, scoring his first IronMan win, while pole sitter Andrew Wood finished second, and Paulo Franca brought home third and maximum bonus points for leading the most laps. 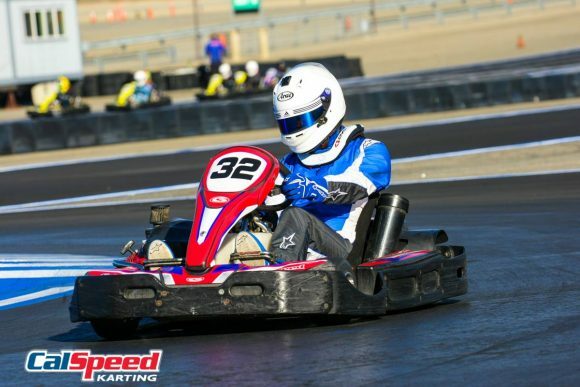 Round #2 of the CalSpeed IronMan Series takes to the Grande Counter Clockwise track in about a month’s time on February 16th; spots are still available, so register today!